Stock # 11348, 8-Speed Automatic, 15 mi. The total entertainment package! 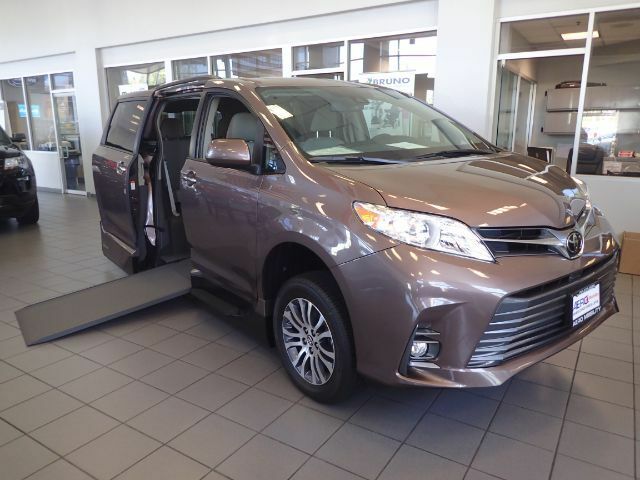 This is a 2018 Toyota Sienna XLE with an automatic, in-floor ramp that is in & out with a push of a button. Brand new Northstar conversion by Vantage Mobility (VMI). Upgrades include a moonroof, power liftgate, Bluetooth connectivity, a backup camera, 4.2" touch display, remote keyless entry, and entertainment system. Equipped with a 30" power in-floor ramp with a remote.